It was supposed to be a high-flying experiment. Kamloops teacher Sharmane Baerg and her class were counting down as their cool little science experiment winged its way skyward, bound for the International Space Station. 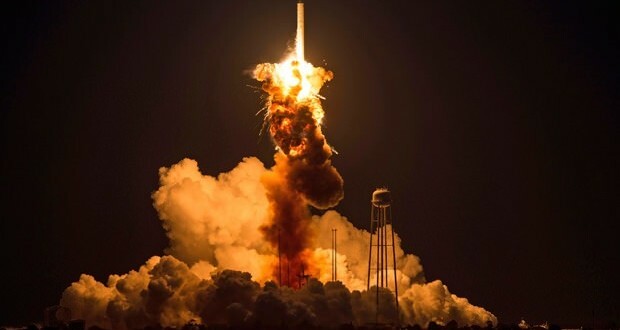 Four George Washington and Georgetown University students watched that evening as their experiment, the Cygnus spacecraft, blew up in flames. They were due to make history as the first university level team to send a science experiment to the International Space Station as a part of the Student Spaceflight Experiments Program, but their dreams of making a name for themselves in space came to an end right before their eyes Tuesday. While a shock at first, the students don’t see the demise of Cygnus as a setback, especially now that they’ve received word that they can re-do their experiment for a future launch. “We see this as a great learning experience. We’re excited to learn from it and to try again,” said Megan Kemble, assistant director of the local Space Grant Consortium. The students’ research is predicted to help out with long term space missions like trips to Mars. The experiment proposed by those from Georgetown and GW would be completed by astronauts on the ISS who would follow instructions sent to them by the students. The experiment would test the growth of chrysanthemums from seeds in micro gravity. It’s believed that plants could be a food source and improve air quality during long distance space travel in the future, which is why this specific experiment could have a tremendous impact on NASA’s work in the coming years.